One quick skim of the airspace surrounding the sights and sounds of Dan Tyminski’s Southern Gothic and it’s difficult not to visualize a long line with two genres – Tyminski’s tried and true bluegrass roots and the seemingly polar opposite of electronic dance pop – sitting on either end. After that, it’s all about whacking an arrow back and forth between them both until some sense of accurate representation is struck. Making spectral analogies like this one is a common strategy nowadays for musical ventures that overtly reveal themselves as exploratory projects, which Southern Gothic most certainly shows itself to be. Dan Tyminski, who has decided to go simply by his surname for this journey off his traditional beaten musical path, is presenting something that feels somewhat a long time in coming, if one happens to have caught the bluegrass vet’s vocals on 2013’s summer hit, “Hey Brother,” by Swedish DJ sensation, Avicii. Though that step into another realm was merely one song, it was drastic enough of a polar opposite, and the impact of the song and subsequent music video was big enough, that a larger and more fleshed out return venture isn’t completely unexpected. That said, Southern Gothic isn’t a sequel to Tyminski’s time with Avicii but rather is his taking the time spent in the EDM realm and finding its gelling ratio with the conceptual and stylistic expectations of conventional roots music. There are a few different ways this LP could have manifested the blending of bluegrass character EDM energy – hence why the analogy of a fluidly moving arrow along a line of proportions seems fitting. Before playing, there’s speculation over whether the music will be nine parts EDM and one part Tyminski. Will it be the exact reverse of that? Will it be split down the middle? What would such a split come to sound like? What will reign when the subject matter of the lyrics comes into play? The questions of equal presence versus singular dominance could go on and on and only starting up the first track will initiate the process of answering each one. 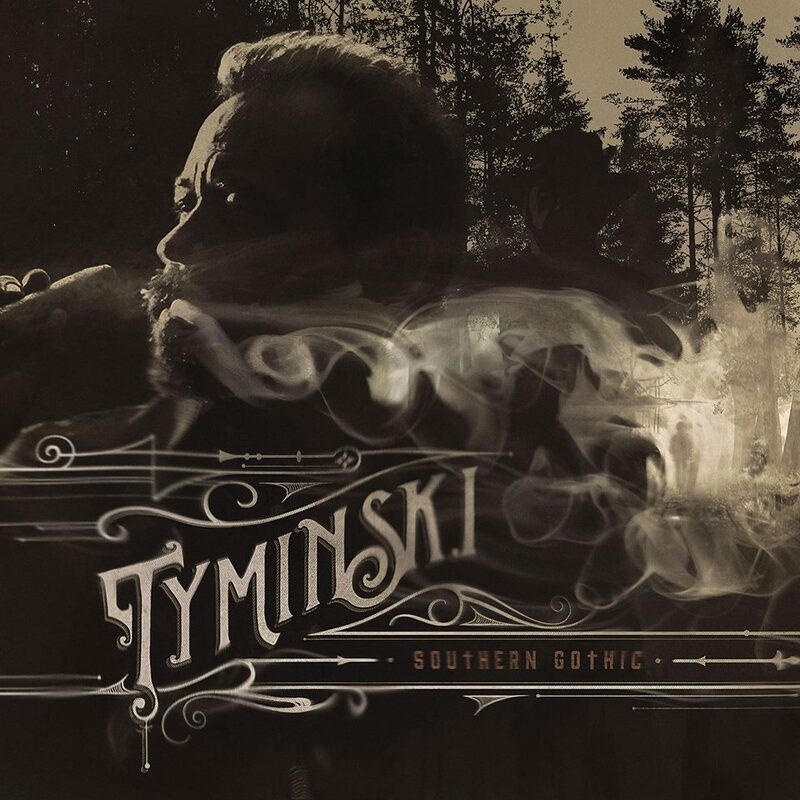 Thankfully, it’s right in the first and titular track that Tyminski reveals the journey, both musical and conceptual, he intends to take listeners on. It’s lively but dark. It compels explorers to go looking around corners, down alleyways, and behind doors that might not have the most friendly faces laying in wait. Any modern western inspired drama or film (Hateful 8 anyone?) would welcome many of Southern Gothic’s cuts to its sync selections. In fact, there’s an almost American Horror Story-esque vibe to the trailer offered earlier this summer upon the album’s announcement. The injection of more polish and electronic dressing is apparent from the outset: mixed clarity to enable hearing every tiny fiddle pluck, percussive scrape, and twangy Dobro note with added reverb effects to enhance the audio spatial impact of tambourine splashes and Tyminski’s own vocals. Underneath the mechanical supplementation however, the soul of Southern Gothic’s story is all about transportation to the south, in every way the senses and human mind can genuinely internalize it from songs alone. Launching with a minor key hooks plants a less recreational seed. The slow plodding march of the tambourine and kick drum founded downbeat drive home a contemplative mood and, by the time the lyrics arrive, sights, sounds, and emotions have been vividly presented – none of them typical southern stained pop tropes of easily destroyable condition. The culmination of everything that makes up this beginning song is almost like a perfect hook unto itself in relation to drumming up interest around the rest of the record, which follows similar narrative and conceptually impactful suit. Whiskey and religion and banjos might be at the roll call for Southern Gothic but what’s most fascinatingly arresting about Tyminski’s placement of them all on the record is his willingness to contextualize these expected stereotypes by way of a less than perfect southern picture and question some of the most recognizable aspects of this American sub-culture. Many of the track titles alone elicit a sense of disquieted temperament around the given theme (“Breathing Fire,” “Devil is Downtown,” “Hollow Hallelujah”). It’s in moments like these Tyminski’s fastidiously achieved harmony between EDM and southern roots has the arrow set atop “standard crossover pop with generic southern country sprinkles.” The same could be said for “Gone,” a song that’s almost like a counterpart to the musically cheerful frame housing “Temporary Love’s” breakup. Save for the enjoyable mixture of lighter drum machine sounds combined with nervous syncopation that ushers in thoughts of dynamically reserved but rhythm liberal electronic jazz, it struggles in the same ways the same as “Temporary Love” but without the confident and better coping post-split lyrics (What if I called you and told you everything? / What if you knew that it was driving me insane? / I’m at the point where I’d do damn near anything / to keep you home / and you’re still gone). Southern Gothic is bold just on paper; to say nothing of what it sounds like should one never end up hearing a note of it. Tyminski makes it abundantly clear he has more than a little confidence in this first vessel built to traverse the waters of multiple genres and while the first full length trip down this path wasn’t without its artistically unsettling moments, Southern Gothic is an exotically composed, genuinely invested crossover effort than despite some beginner’s faults, earned more than enough merit to inspire desire for more. Southern Gothic is available now via Mercury Nashville. Get it from iTunes and stream on Spotify. “Nashville” – Everlasting editorial for songwriters?